Playford returned to the 3-5-2 formation and Freddie Ward made his debut at the back partnering Harris and Berry. Daryl Francis started his second game in a row as he continues his return from injury. Ryan Broadhurst gave Playford the lead scoring two free-kicks. Evergreen Jem Vince scored a brace to make it four-nil. 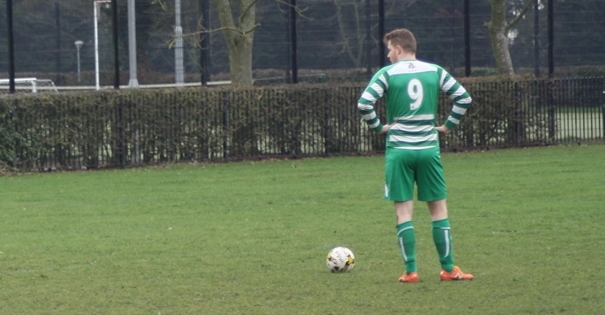 It was the first time he has scored twice in a game since 2015, coincidentally also against AFC Claydon. Late in the game Ben Thomas scored a fifth and Claydon grabbed themselves a consolation goal. The draw for the third round was concluded Sunday evening and Playford Reserves now face an away trip against Kesgrave Kestrels. Kestrels boast former Playford players Liam Harris and Christian King.